Apple iPhone users are increasing day by day.People are getting addicted more on iPhone and Apple iOS.This is one of the most popular mobile technology currently available in this world.Apple iOS have many awesome features but many of us may not be aware of that.Apple iOS offers many great stock apps, and one of them is notes app. This app would let you take quick notes, and you could also sync it online with iCloud and Gmail. But not many people know about it or how to use it. 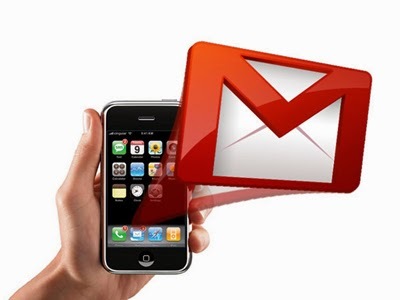 This tutorial will show you how to sync iPhone notes with Gmail or any other email service over IMAP. This is quite useful, when you are working online, and use iPhone notes app to take quick notes. This way, you would be creating a backup copy of notes in your Gmail account too. 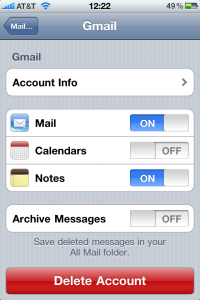 Before we Sync our notes at first we have to setup our iPhone to use Gmail via IMAP. If you already have it configured skip those simple steps and move on to enable notes syncing. For those of you who doesn't know this and want instructions to configure Gmail via IMAP on iPhone please google it first to get the clear instructions. Now that we have an IMAP account setup let go to the next step. Now under account settings turn on Notes. Now you may wonder what happens next. Here is what. Gmail will create a new label called Notes automatically for you. Once you click on it you would be able to browse through all your Notes from your pc’s browser. Please noted down that this Sync is one way. Any changes made to notes on iPhone will reflect in your Gmail account but you can't edit it there. The notes could only be edited on the iOS device, be it your iPhone or iPad. 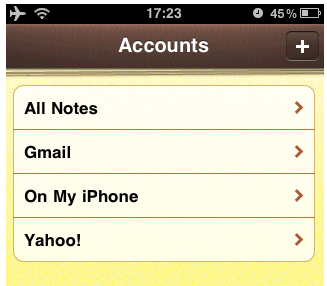 If you enable Notes sync on more than one account, all of them will feature under Accounts within the Notes app. You could choose to access all or just the ones from a particular account. 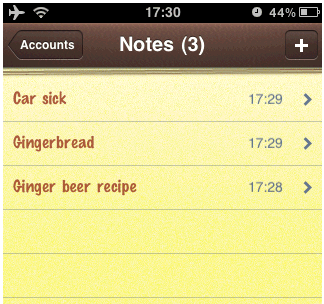 There are several advantages of syncing your iPhone notes online. We’ll save that for another article. Within the mean time, why don’t you tel us how can you find this article useful. So hope you enjoyed this article.Do not forget to share and subscribe us to get latest updates from us.